From January’s OpenITP meetup in San Francisco. 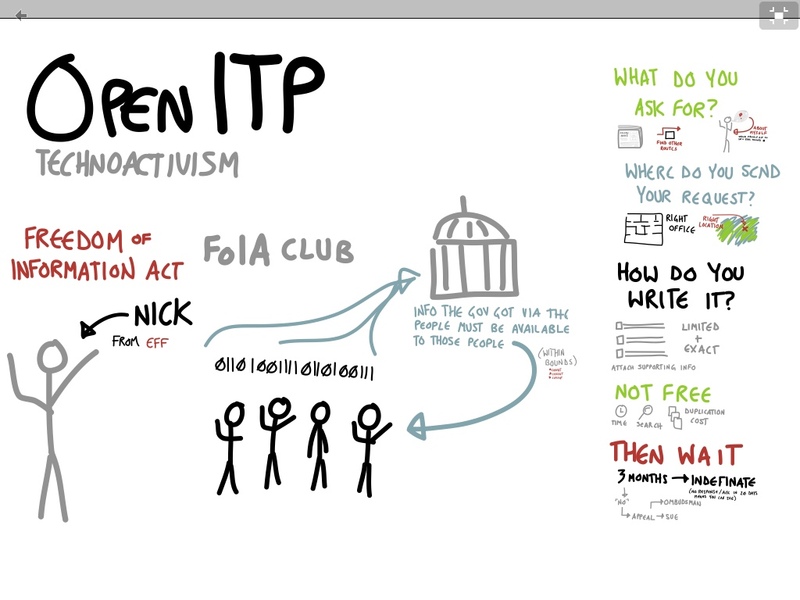 Nick from the EFF gave an overview of how to submit a FOIA request. SpaceCamps have been happening at Maker Faire Bay Area, Detroit, and New York. The point of SpaceCamp is to propagate the robustness and awareness of hacker- and makerspaces. Attending spaces are curated into a shared area so that space facilitators get to know each other and Faire attendees are exposed to the wide variety of spaces’ interests, personalities, and geographies. SpaceCamps are a part of Space Federation. Space Federation’s mission is to provide financial and organizational support to open communities in shared physical spaces who use innovative methods and technology in hands-on education. This means we help space facilitators and founders get to know each other, and provide fiscal sponsorship (act as a 501c3 without all of the overhead) to groups who operate as not-for-profit. We do this because we want hacker- and makerspaces to become the schools of the future (see our panel from Faire, sorry about the audio). For that to happen, we need to be able to focus on making awesome, not figuring out if our zoning designation will fit with our insurance type. In the same way we share a laser cutter, we can share accountants and lawyers. Better yet, we can share what we’ve learned about things like membership documents, bylaws, and epoxies. Hackathons are great fun, aren’t they? New friends, pizza, maybe some beer. Working on problems that might save the world, or at the very least, a life? We listen to rad music, stare at stacks in confusion, and yell at our code. At the end of the event, we have a working prototype of an idea, and we all feel very good about what we’ve done. But how much impact does it *actually* have? The applications coming out are often poorly documented, stored all over the place, and have quite a bit of work left to do on them. And those devs, the wonderful devs, they disappear back into the mist when the event is done. Leaving their freshly-born application mewling in the cold cold world of the Internet. Heather Blanchard of Crisis Commons and I sat down at DEFCON to discuss this. We have multiple solutions, which whenÂ implementedÂ together, should make this much less of an issue. 1) The problem definitions themselves need a lot of work. 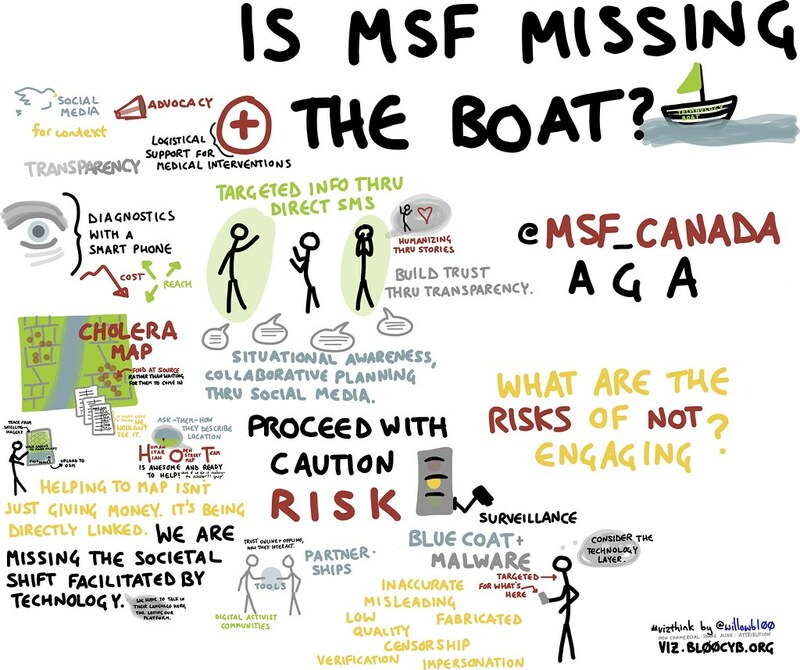 Problem definitions are what organizations such as the Red Cross bring to the Volunteer Technology Community in search of software/hardware solutions. You can peruse some on the RHoK site. The individual or organization bringing the problem def also needs to OWN it, making themselves available for questions, resource needs, and feedback. 2) The hackathons themselves are fantastic. But people who are truly inspired and wish to continue their efforts need a way to continue interacting and documenting with their creations. 3) We need a vetting process wherein people actually submit their applications (ala GIS Corps) to be a part of this network and to continue their efforts. When disaster strikes, we must know the people we are calling on for help will respond and will be competent. 4) There needs to be an end to each project. When is something done? Play with it, do a trial run. Did it work? What still needs improvement? Crisis Commons and Geeks Without Bounds feels this rough draft of flow will greatly improve the tools emerging from VTCs, give a more meaningful experience to volunteers, and save more lives. And we still get our pizza and 24 hour events for feel-good-feelings, but also a path for continued engagement. I’ve been awake since stupid early. We’re about to start the drive to San Francisco, via Santa Monica. I hate mornings. 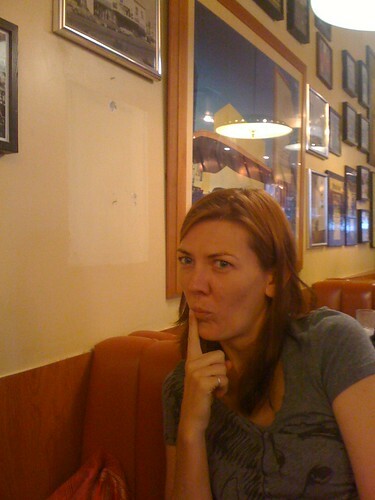 Someone has removed a picture from a wall of pictures at the Big Boy! This always means adventure is afoot! “But what does that mean? !” Shannon asks. I posted to my website. I have a website? Good lord, better fill it with content. This particular content is asking a question, and I’ll gladly take your responses here. How does one warn others or even just talk about an Abuser without coming across as being a drama queen or having Survivor as your main identity? Situation: I didn’t reach out to people about Corey because I didn’t think it was Proper or in-line with my world view. He then hurt other people. A lot.